Do You Want Professional TV Wall Mounting in Roseneath? Call TV Magic Today! 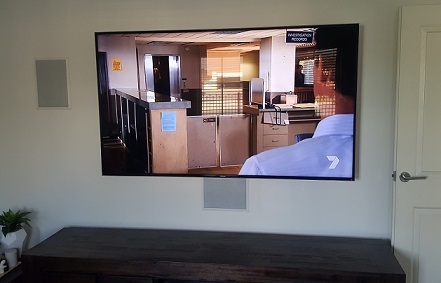 I you are looking for a professional TV Wall Mounting job in Roseneath, then you've found the best service for the job. I'm Gordon, you're local TV Magic Technician in Roseneath and I specialise in TV Wall Mounting as well as all your other TV Antenna needs. If you want a TV Wall Mounting job that looks it's best, sounds it's best and functions beautifully, then call TV Magic Roseneath today! A great ambassador for TV Wall Mounting is one of the most well known fellows who's ever fallen off a Mr Dumpty; Humpty Dumpty that is. In a recent interview with Mr Humpty about the Dangers of mounting your TV on a Wall, he explains that, a falling TV can not only smash to pieces like he did, but it is also a major hazard in that it can fall on a small child or pet if pushed or pulled. Humpty is quote to have said, "if only I'd called TV Magic earlier, this never would've happened." Lets all learn from Mr Dumpty's mistakes, and get our TV's Wall Mounted. TV Wall Mounting is becoming so popular among Roseneath residents for more than one reason. Not only is it much safer for everyone, but it looks better too. Aside from this, TV Wall Mounting is a very smart move for anyone who doesn't want to have their floor space taken up or have their apartment or house looking cluttered. TV Wall Mounting allows for people to enjoy their TV without having to worry about getting a bulky cabinet, having an accident with it falling on a child or having ugly cabling hanging down from behind it. Get your TV Wall Mounted today; Call TV Magic Roseneath!